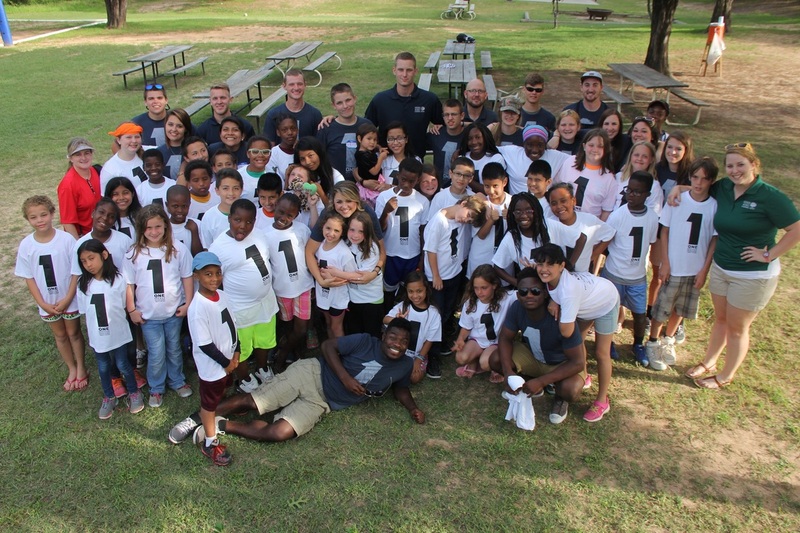 In 2018 60 children ages 8-11 years old from Pleasant Grove area schools attended camp from Sunday through Thursday at no cost to their families, thanks in part to a $5,000 grant from Kiwanis Children's Fund and the Kiwanis Club of Pleasant Grove. 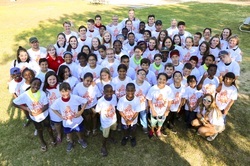 40 more children from Pleasant Grove area organizations and businesses also attended camp at Hidden Acres, thanks to fund raised by the Kiwanis Club of Pleasant Grove. Year after year, the children come back to camp. 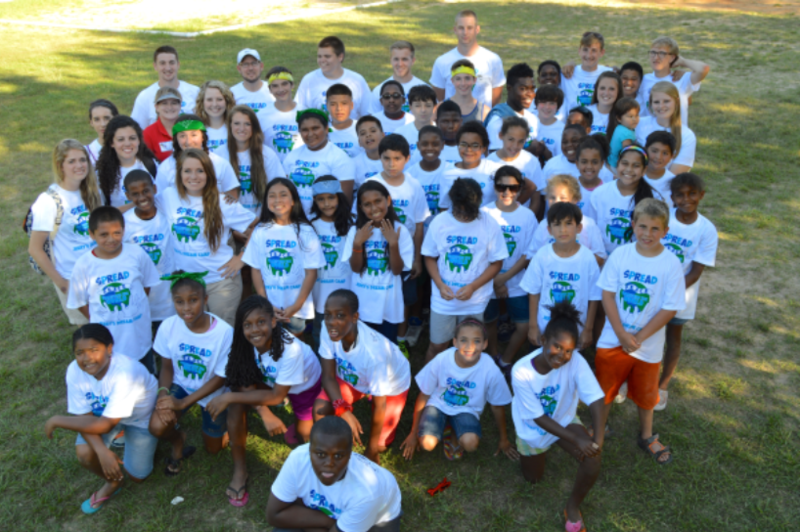 When children age out, they attend Leadership Camp. On the third Thursday of every month, members of the Kiwanis Club of Pleasant Grove meet at the Pleasant Grove Food Pantry, 1551 Baywood Drive, 75217, to help sort through canned goods and stock the shelves. ​The Pleasant Grove Food Pantry is always look for volunteers. Please contact Martha Doleshal, 972-313-5564​, for rewarding opportunities! ﻿The Kiwanis Club of Pleasant Grove financially supports Pleasant Grove Area schools through Dallas ISD Reading is FUNdamental whose mission is to ensure every child has books to read at home and call their own! On the left, are representatives from Dallas ISD Reading is FUNdamental explaining to children who attended GroveFest 2014 about the importance of reading and having books readily available at home. Founded by Natalynne Walton, Hopeful Solutions provides a safe environment for the nurturing of this important family bond while the mothers are rebuilding their lives. The mission of Hopeful Solutions is to focus on keeping homeless single mothers with a substance abuse history and their children together. ​Read more about Natalynne and Hopeful Solutions. 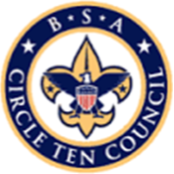 Circle Ten Council, is committed to delivering your child a high-quality, safe and fun-filled program that challenges your youth, both intellectually and physically. Scouts learn about life and the value of being a person of character and integrity. Scouting fosters the development of the whole person and offers youth the opportunity to participate in activities that will help launch them on a successful course for life. Circle Ten Council's geographic area is comprised of 12 counties including Grayson, Collin, Hunt, Dallas, Rockwall, Rains, Kaufman, Van Zandt, Ellis, Henderson and Navarro in North Texas and Bryan County in Oklahoma. Our council is divided into 23 geographic districts. For a list of districts, click here. The Kiwanis Club of Pleasant Grove reached Model Club status thanks to generous donations to The Eliminate Project. Most members wrote "birthday" checks in support of the project and our club received a great "jump start" from the Hixson's, Jerry and Annellon Fitzgerald. Thanks to efforts of our club, Kiwanis International has reached their fundraising goal, raising US$110 million in cash and pledges since 2010. Through The Eliminate Project, Kiwanis International and UNICEF have joined forces to eliminate maternal and neonatal tetanus—a deadly disease that steals the lives of nearly 49,000 innocent babies and a significant number of women each year. Read more about eliminating maternal/neonatal tetanus.